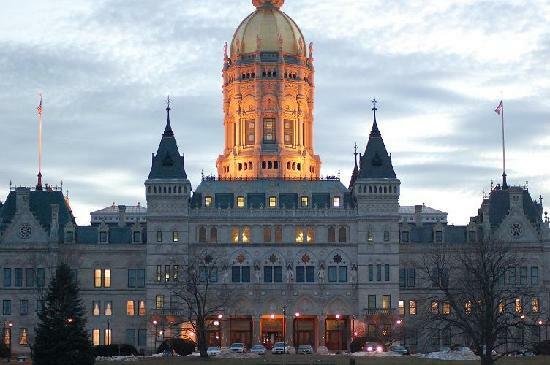 Connecticut plans to press Amazon for the taxes the state believes it should have collected at least during the month or so when the new law was in effect and Amazon still had affiliations with websites in Connecticut through its Amazon Associates Program. Amazon severed those ties in June. . . . But unless we’re missing something, the dates just don’t add up. Governor Malloy signed the new budget bill on May 8. On June 10, Amazon sent letters to its associates in Connecticut terminating its contracts with them. The so-called Amazon Tax, as part of the state budget, went into effect on July 1. What are we missing here? Is the month-long overlap that Connecticut claims actually between the date the budget bill was signed and the date Amazon terminated its Connecticut associates program? Amazon ended its associates program twenty days before the law went into effect. So Amazon did not have associates in the state when the law went into effect, and therefore it doesn’t owe the state for any uncollected sales tax that would have been due under the law. Connecticut officials are suggesting that they will ultimately end up bringing a lawsuit against Amazon. Unless they have another argument to offer, we question their standing to bring such a claim. There’s just no way that Amazon had in-state associates when the law went into effect. This entry was posted on Monday, October 10th, 2011 at 8:36 pm and is filed under State News. You can follow any responses to this entry through the RSS 2.0 feed. You can leave a response, or trackback from your own site. Wow… I would want to go against Amazon. They’d better be careful.